I went for the trip of my life last year: Backpacking South America alone with some savings and my camera. On this trip I met numerous amazing people who welcomed me with a friendly “Hola Gringo”. 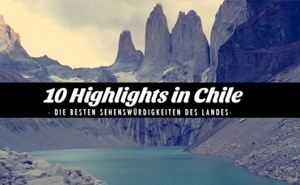 This video sums up an epic 7 month adventure in Peru, Bolivia, Argentina, Uruguay and Chile! Video not shown? Watch it on YouTube! What a smart move it was to learn spanish before I left Europe – otherwise I'd have been screwed at some places. Especially due to the fact that I started in Peru with the hustling & bustling city of Lima. In comparison Cusco and Puno have been more relaxed but also much more touristy. Sadly I didn't have time to visit Mancora or Arequipa, places I've heard many good stories of. Bolivia was absolutely different from all other countries: the transport, costs, people. For Backpackers it's like heaven if we speak about the costs, it can be hell if we speak about organizing your trip. Nevertheless the landscape in Copacabana, La Paz and Uyuni have been worth all the efforts! If you'd ask me for my favorite country I'd answer: Argentina, followed by Chile. 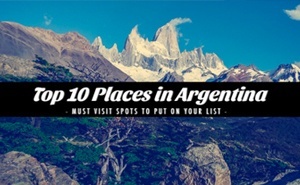 Argentina offers a big diversity and great outdoors: Glaciers and stunning national parks from Tierra del Fuego to Patagonia, the lake region in the center and the lively Buenos Aires not far away from the coast. Uruguay has been a little summer getaway for a few relaxing days at the beach and in the capital Montevideo. As said Chile I'm also a big fan of Chile, therefore I spent a lot of time in this country. This time I explored the south with the highlight Torres del Paine and hitchhiking the Carretera Austral – adventures I'll never forget! What has been the best after all? The people. I was overwhelmed how warmhearted, friendly, helpful and sometimes a bit ‘loco' (= crazy) they have been. I got invited to boat trips and meals, told about europe, have been a guest on privat parties and got treated very well even in difficult situations. Moreover I improved my spanish, learned words that are actually not existing, danced to music I've never heard before and saw animals I only knew from the Zoo. What a ride! You might already know a few – here is a handy overview of all important useful articles to plan your trip. More guides are about to be published soon! 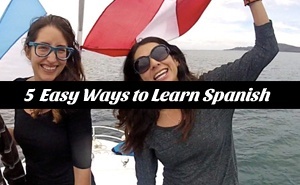 Don't miss upcoming videos and subscribe to my Youtube channel and get notified about new guides by subscribing to my mailing list! 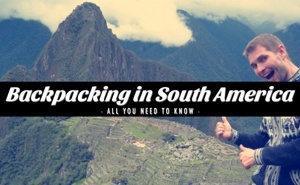 You did Backpacking South America? Really fun video, Steve — well done! Simply excellent! Thank you so much for sharing your wonderful adventure! Lovely – thanks for watching! Si..Sur America es un lugar increible..gracias!